Hi there, folks! 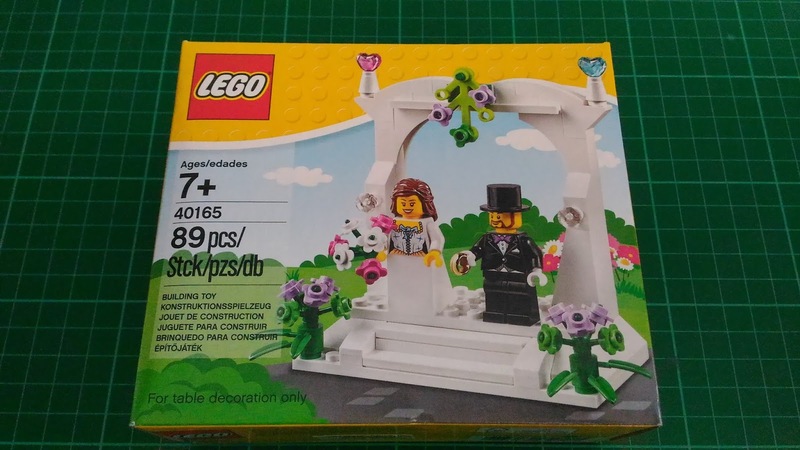 Today I'll be doing a review of Lego set # 40165, listed as Wedding Favor Set. You heard it right, ladies and gents! This one's here for them love birds who are getting hitched. As the name suggests, the set can be used as souvenirs for wedding guests. The set is priced at around PHP750.00 (roughly USD15.00). Let's take a look at the box's contents. 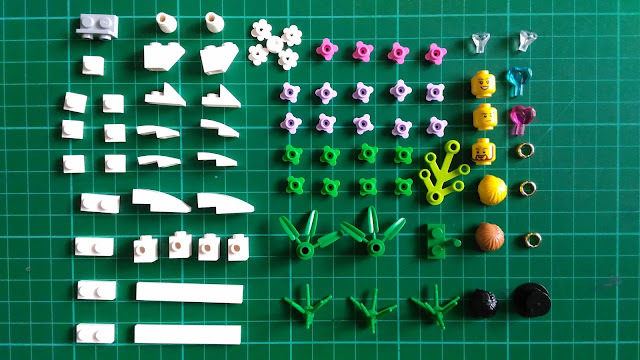 The kit comes with an instruction manual, two (2) small bags of bricks and figs, and two (2) white plates: a 4x10 and a 6x12. Bag # 1 contains some of the bricks that make up the set's main piece: a white wedding arch. 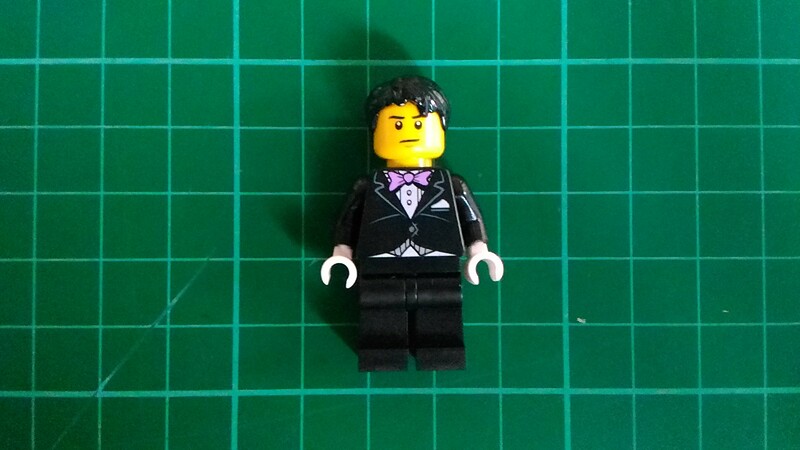 It also has some of the parts of the bride and groom figs. 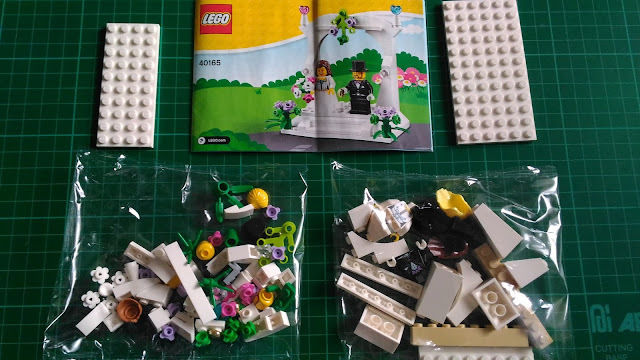 Bag # 2 contains the remaining pieces of the wedding arch as well as the flora that add color to the build. Lots of flower petals in pastel colors are included in the set to be used for the bride's bouquet and decors on the arch. 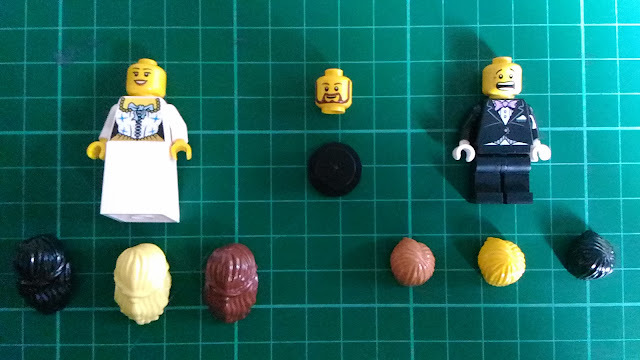 This bag also contains the heads and wigs of the main figs and other accessories such as the bride's bouquet, the groom's top hat and the wedding rings. Let's move on to the set's figs. The kit comes with a bride and a groom but surprisingly, it has multiple head pieces for both. This is the first time I encountered a Lego set that has this much wigs and heads for the figs. 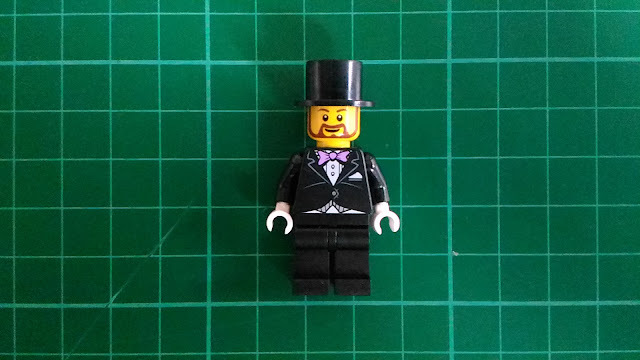 I think this is cool since it gives the builder several options on the look of each fig. The bride comes with your regular Lego City female head. It also has a white slope for the lower half of its wedding dress. It has three hair pieces in different colors to choose from. 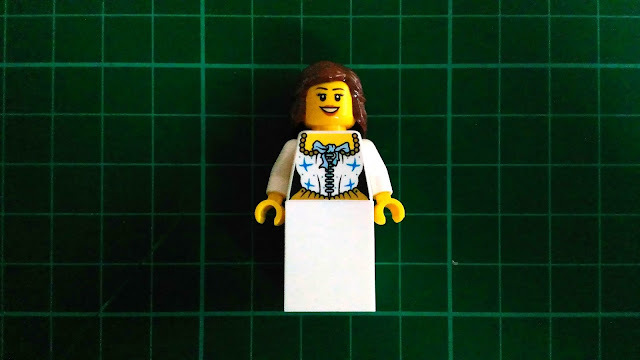 I'm clueless when it comes to dresses but I kinda think the print on the torso doesn't give the impression that the fig is wearing a wedding dress. It makes me wish that Lego made use of the bride's torso from Minifigures Series 16. The groom has two (2) heads to choose from: one is bearded and the other is clean-shaven. By the way, the latter is dual-sided. The scared face is actually perfect for guys having pre-wedding jitters. Like the bride, the groom is also given three hair pieces to choose from with the addition of a black top hat. The fig looks good but I think it would look better if they matched the color of the groom's tie with the accent of the bride's gown: a minute detail but not entirely a deal breaker. 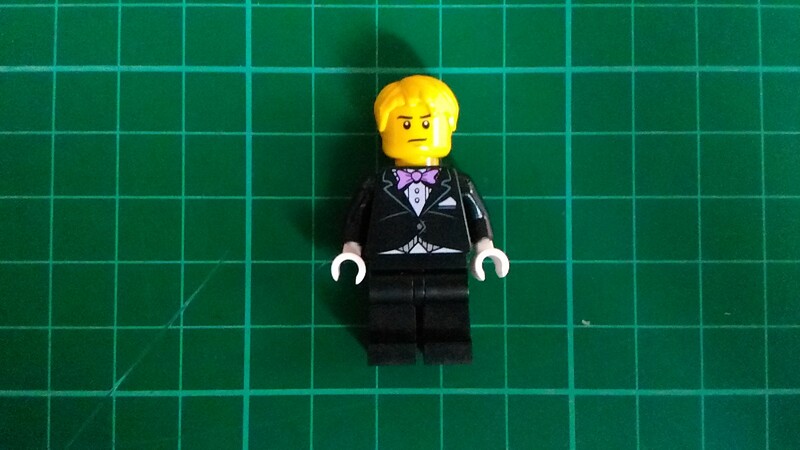 Lastly, the yellow hair really doesn't work on yellow figs. 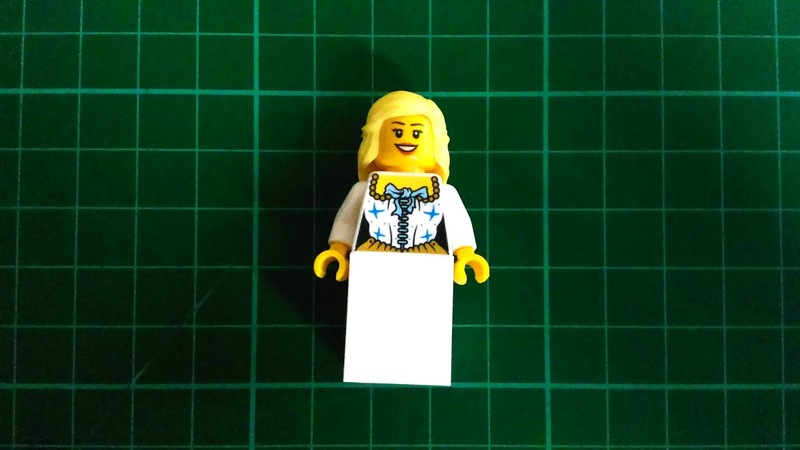 I wonder why Lego used that color instead of the usual light tan hue for blonde hair? The wedding arch can be easily built in a few minutes since it's made up of just a small number of bricks. 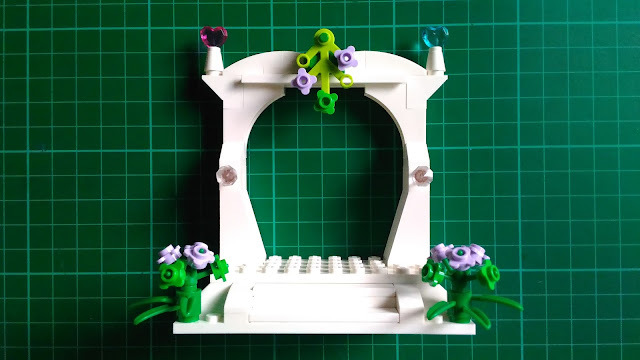 The design is fairly simple with just a long platform, a couple of steps and the main arch put together to complete the entire structure. The gems and the flora really do a good job adding color to the whole thing. 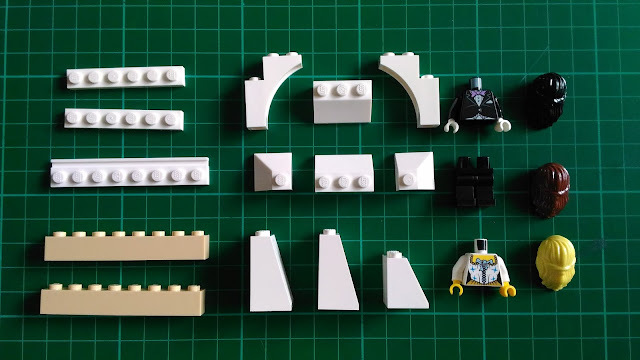 Given the amount of bricks used, the arch is really sturdy. 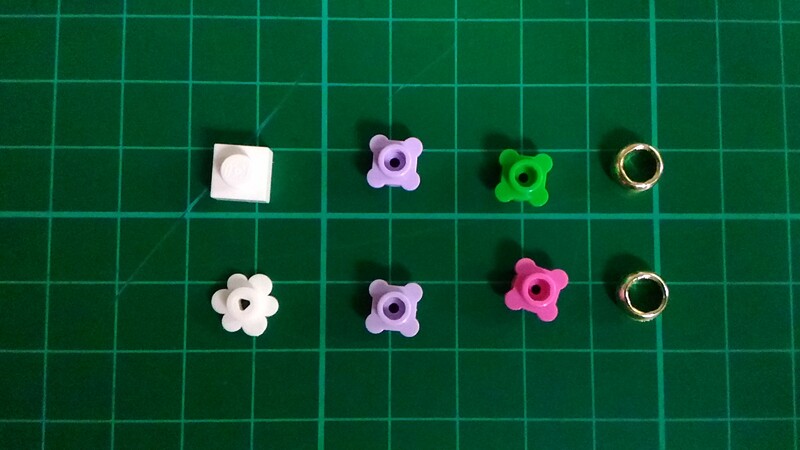 The leftover pieces for this built: a white 1x1 plate, several flower petals and a couple of rings. 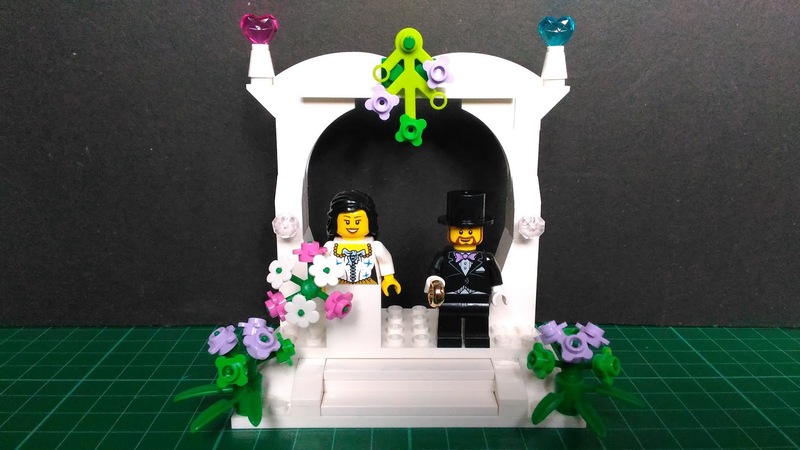 It would really be cool if this set is the souvenir you get when you attend a wedding. Though I must admit, it's quite expensive. I really like how this kit gives you multiple hair pieces for your figs. Actually, I think it was the main reason why I got this set. 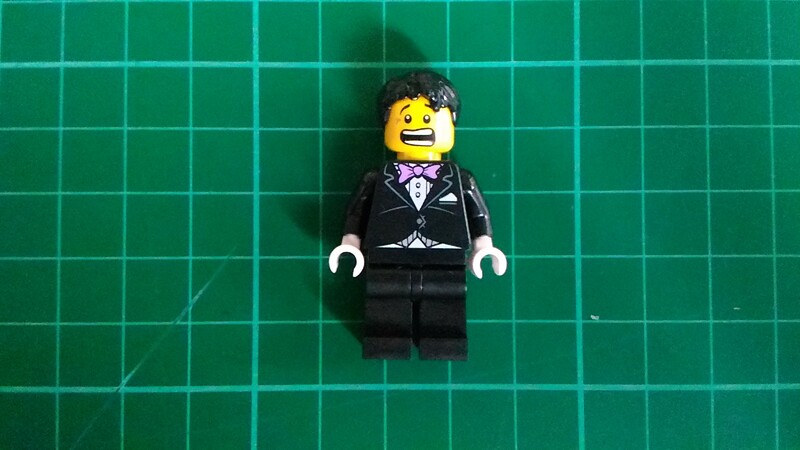 I usually tend to mix and match the parts of my figs and the additional hair pieces are really a big help. It would be pretty awesome if Lego also did this in sets from the other themes. Thanks for reading another review by Nothing But Brick! Every click and view count! By the way, the giveaway is still on and will end on the 30th so please do join to get a chance to win a Lego Imperial Shuttle polybag. Weekend's here! I wish you all a good one, folks! Till next entry!